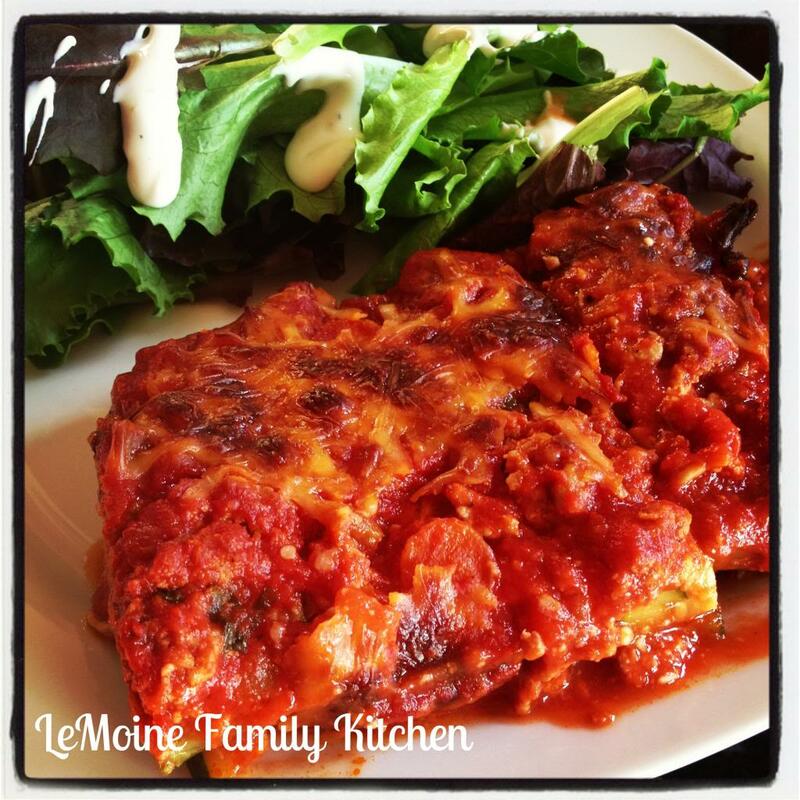 I really wasn’t sure what to call these dish of deliciousness so I went with Zucchini & Bolognese Bake… I’d describe it as a cross between lasagna and eggplant parm. Those Italian classics aren’t by an means figure friendly. 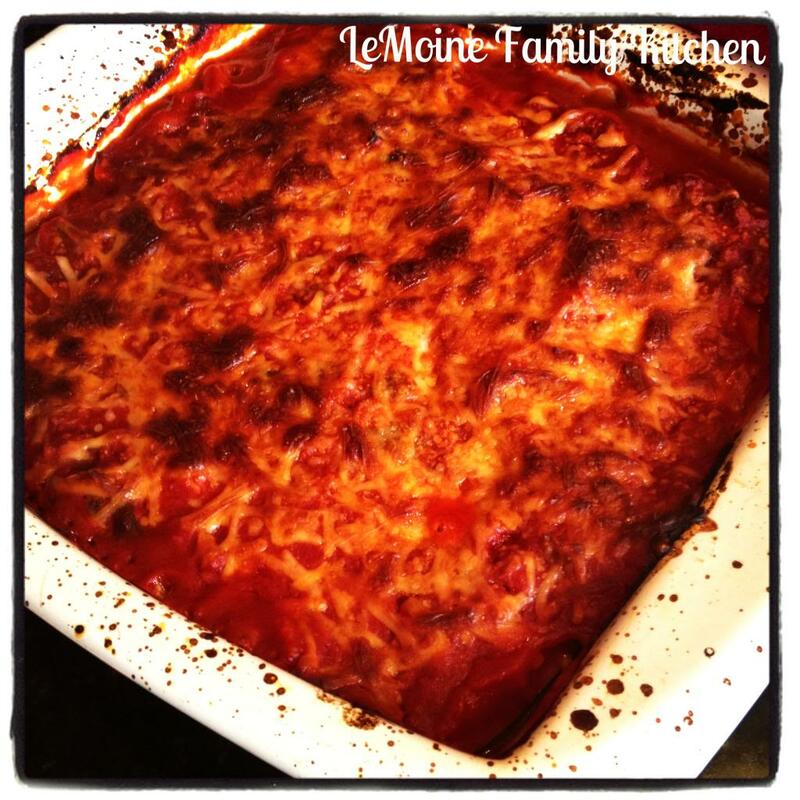 This Zucchini & Bolognese Bake is lightened up a bit, there is no pasta and the bolognese is made from lean ground turkey and veggies. 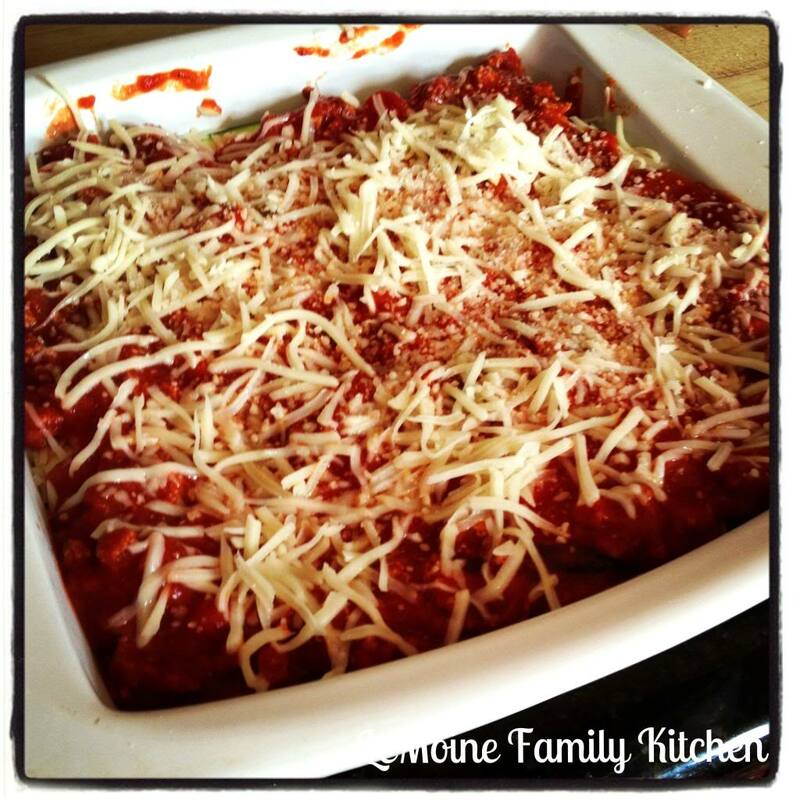 The sauce is nice and chunky so your bake doesn’t get watery. I had extra sauce in the end, so i’ll be tossing that with some pasta tonight. 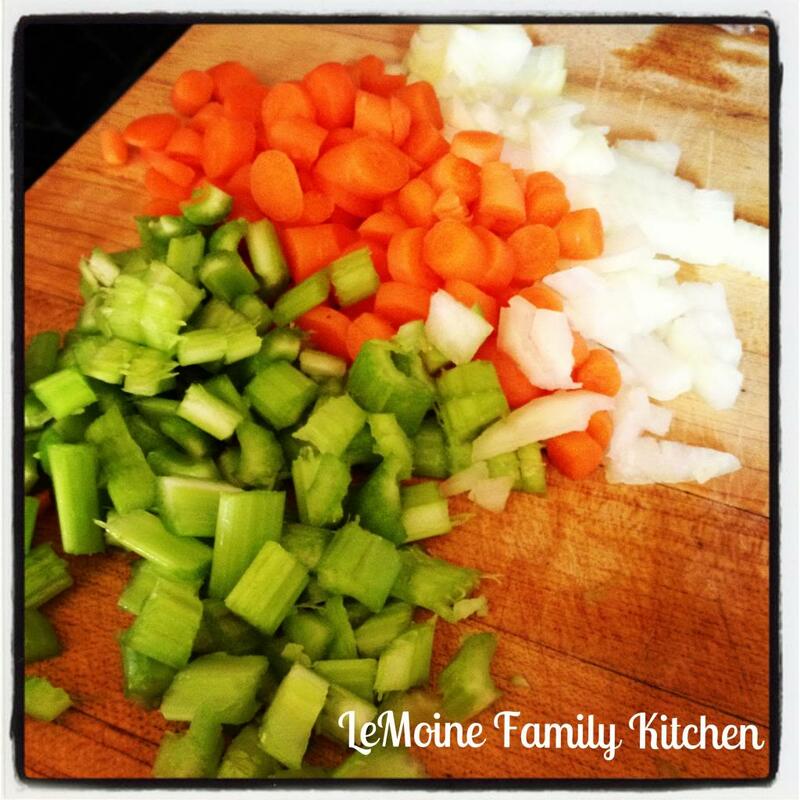 This dish is plenty filling that a simple side salad makes for a perfect meal! 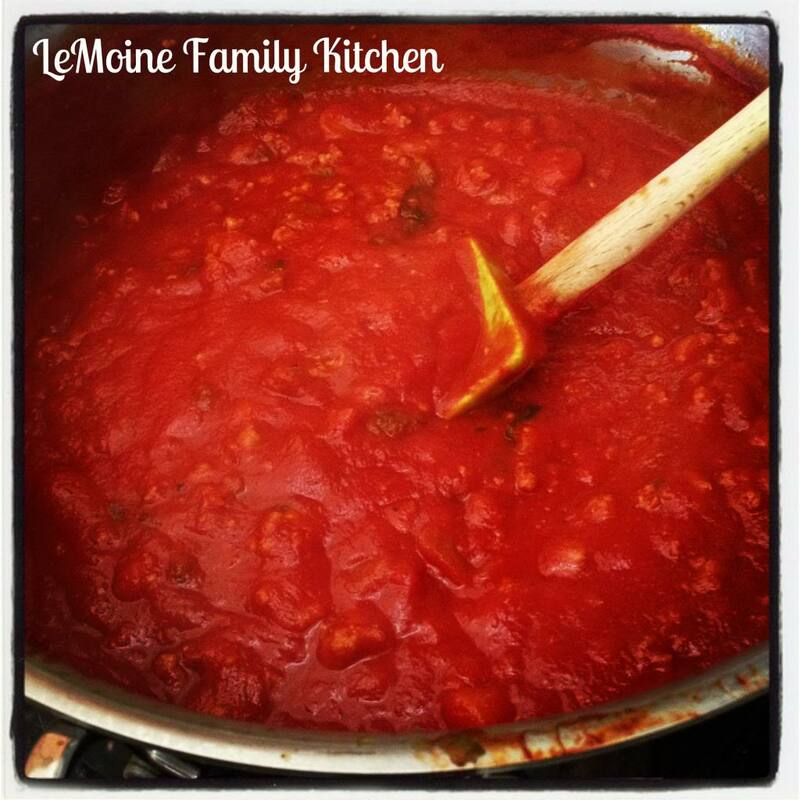 Start by making the turkey bolognese. 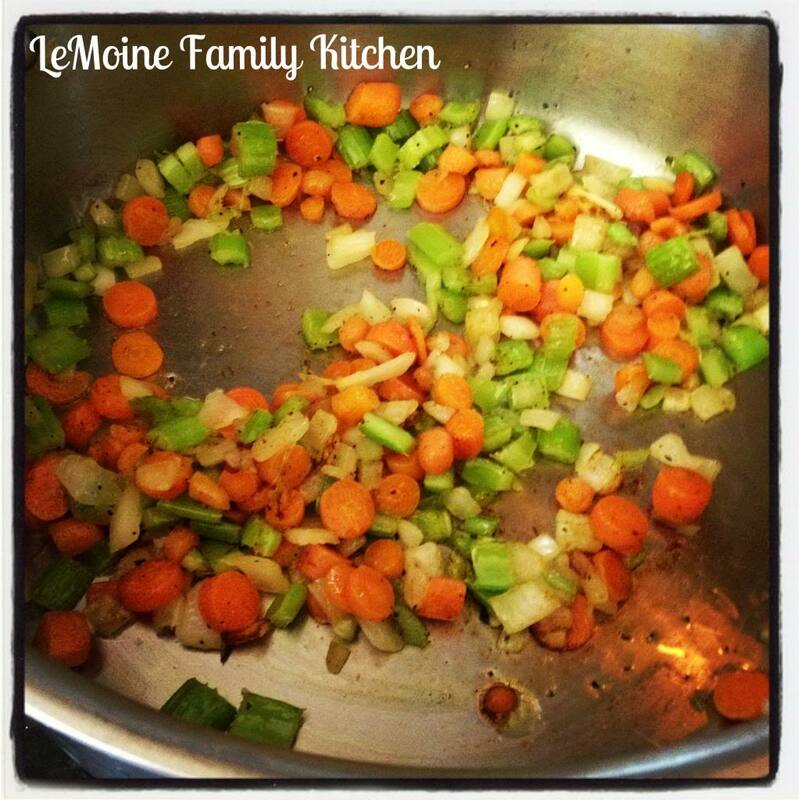 In a large pot, over medium heat, add a few good drizzles of olive oil, the onion, carrots and celery. Season with salt and pepper. 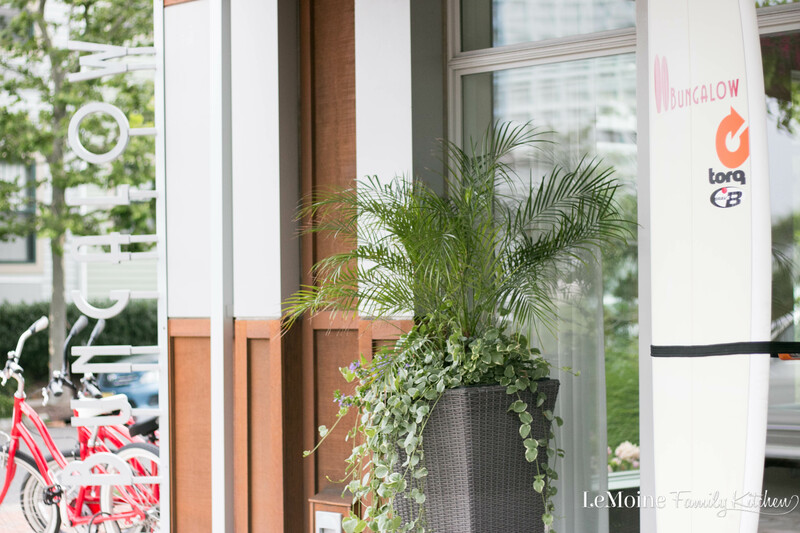 Let them sweat (release some of the natural moisture) and begin to get a little color. Will take about 8 minutes or so. 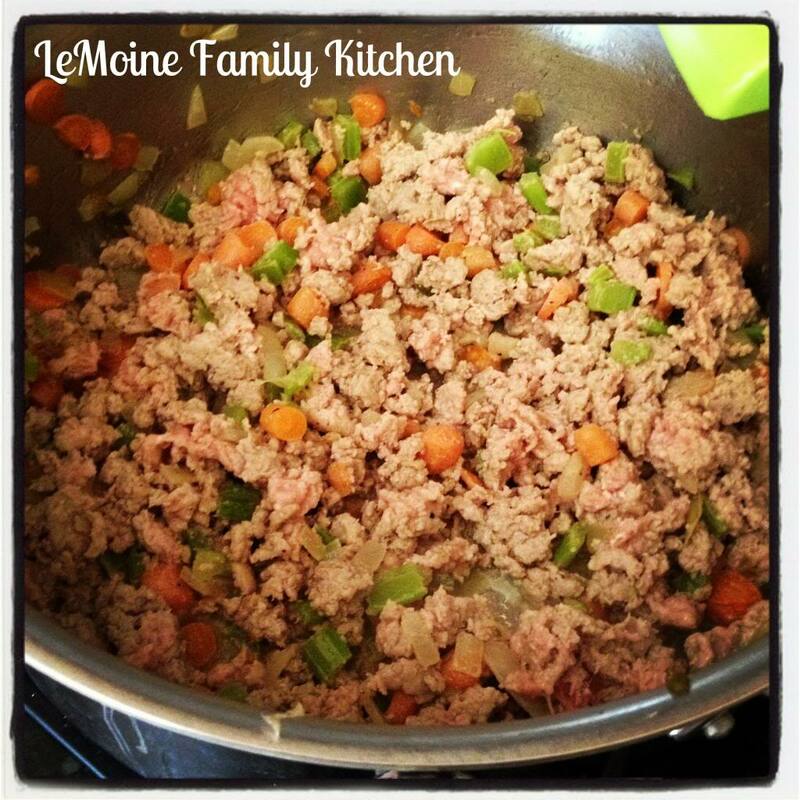 Add in the ground turkey and using a spoon break up the meat as it begins to cook. 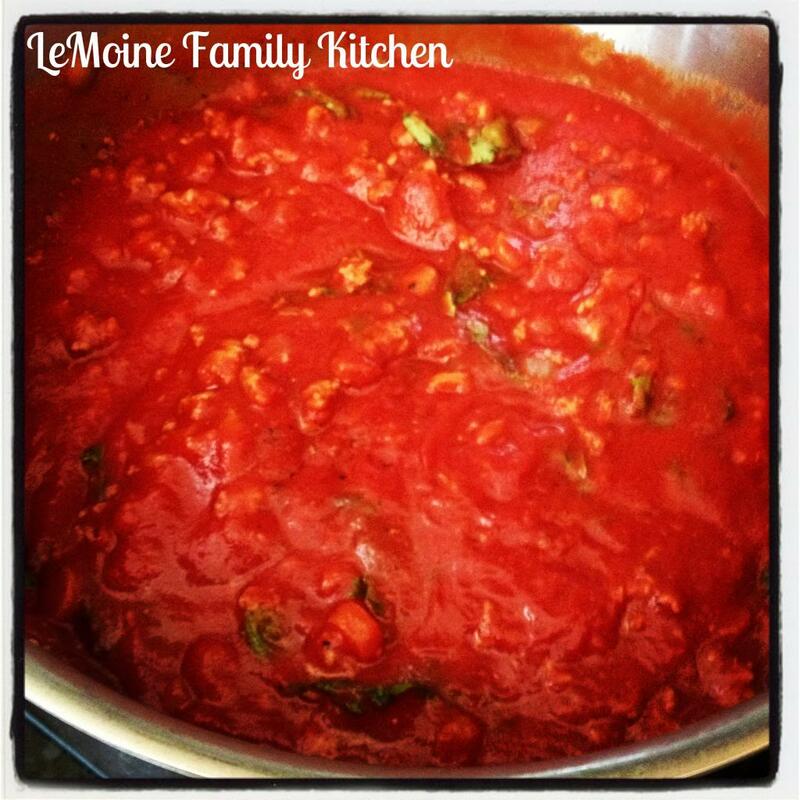 Stir in the cans of tomato puree, the fresh basil and season again with salt and pepper. Allow to simmer on low with the lid on for 1 hour. Remove the lid and simmer for another 30 minutes. You can cook it less if you’d like, I just think the flavors really meld and concentrate wonderfully by cooking it a little on the longer side. 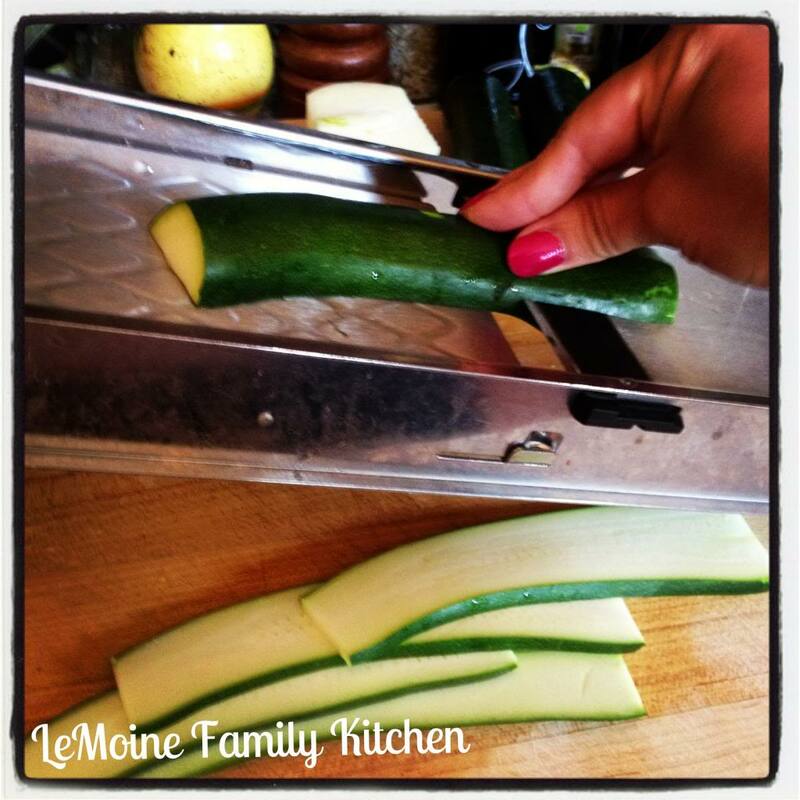 While the sauce is cooking you can go ahead and slice the zucchini lengthwise. I used a mandolin to get even slices of about a 1/4 inch thick. Now to assemble… I used a 9×9 baking dish. 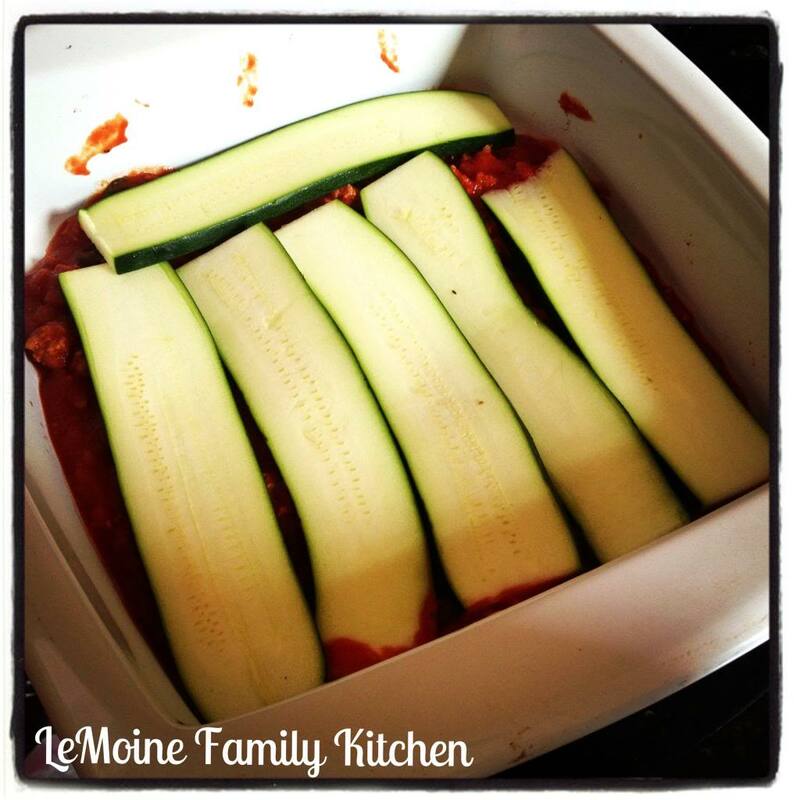 Add a thin layer of sauce on the bottom, followed by a layer of zucchini then a layer of shredded mozzarella. 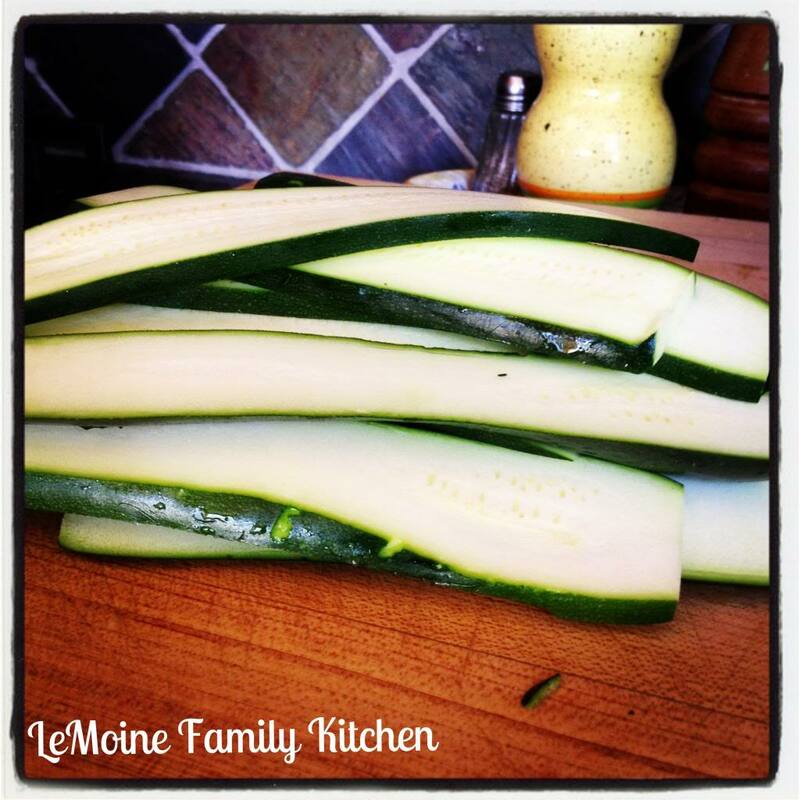 Continue layering until you’ve used all the zucchini. Be sure to keep the sauce layer light and try to spoon more of the turkey and meat… this will prevent the bake from becoming watery. Bake at 375 degrees for 45 minutes to an hour. 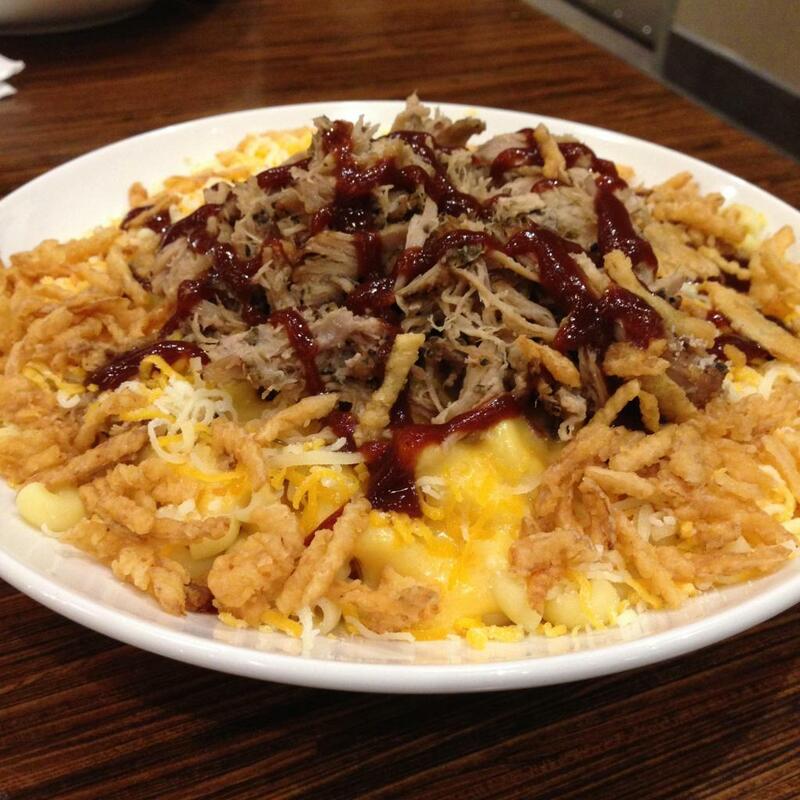 The bake will be bubbling and the cheese melted and browned. Allow the bake to rest about 10-15 minutes before cutting into it. 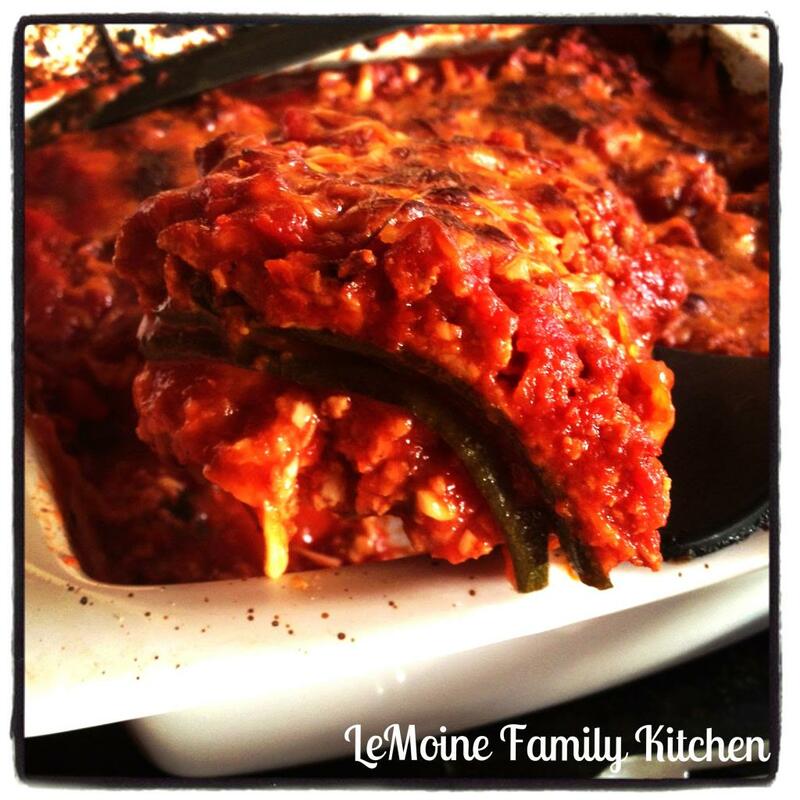 Another great recipe and right in time- I asked my hubby to buy cucumbers yesterday but he got zucchini instead, I made ratatouille this morning and have some zucchini left, so now I know what to make:)))And thank you for sharing your recipe on my link up!! !